Happy holidays: The week between Christmas and New Year's is one of Hollywood's happiest box-office times of the year. Movie going expands over the holidays since people have finally finished their shopping and partying and now have time to relax and celebrate. Seeing a movie or two fits very well with a week when kids are off from school and many adults can take some time off from work. To make the most of the opportunity, Hollywood opens a wide range of films with something for everyone. In particular, adults suddenly find they have lots of movies to choose from -- including high profile Oscar contenders that just made headlines with their Golden Globes and Screen Actors Guild nominations. Christmas came early to Hollywood last weekend with Disney's record shattering $238 million launch of Lucasfilm Ltd.'s PG-13 rated 3D action adventure "Star Wars: The Force Awakens. "It did another $279 million internationally for a global weekend cume of $517 million. The biggest previous December opening had been Warner Bros., New Line Cinema and MGM's Dec. 14, 2012 kick off of "The Hobbit: An Unexpected Journey" with $84.6 million. "Awakens"also easily overtook the previous all-time opening weekend record set by Universal, Amblin Entertainment and Legendary Pictures' "Jurassic World" last June 12 with $208.8 million. Thanks mostly to "Awakens," last weekend was Hollywood's first ever to crack $300 million, according to box-office tracker Rentrak. Adding to the weekend's estimated $300.97 million total were the PG rated animated family comedy adventure "Alvin and the Chipmunks: The Road Chip," from 20th Century Fox and Regency Enterprises in second place with $14.4 million; and Universal Pictures' R rated adult female targeted comedy "Sisters"in third place with $13.4 million. "Awakens" is clearly on track now to dominate this weekend's box-office. But with so many people having already seen it one or more times and with holiday moviegoing expanding, the eight new films entering the marketplace should be able to enjoy a tasty slice of boxoffice pie. Here's a quick look at what's about to arrive. "Joy," from 20th Century Fox, Annapurna Pictures and Davis Entertainment, is a Golden Globes nominee for best picture-comedy or musical. The PG-13 rated dramedy, opening Dec. 25 at about 2,700 theatres, should play best to adult women. Writer-director David O. Russell was Oscar nominated for directing "The Fighter," "Silver Linings Playbook" and "American Hustle" and is also a two-time screenwriting nominee. 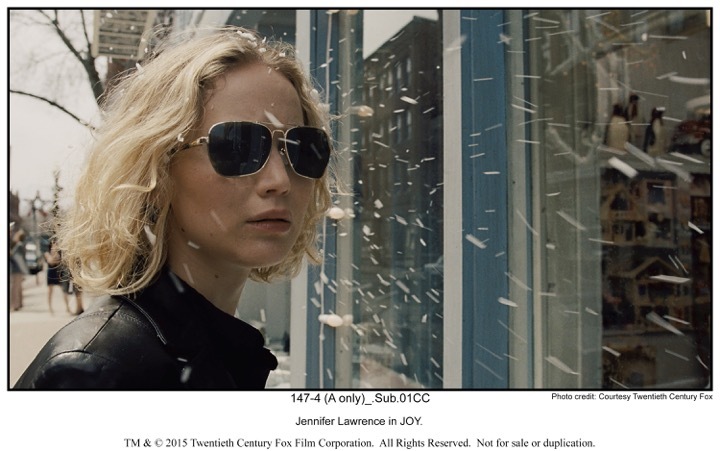 Jennifer Lawrence plays Joy, who's launched her own business dynasty. Lawrence,a Globes nominee for best actress-comedy or musical, won a best actress Oscar for "Silver Linings Playbook." Robert De Niro, who plays Joy's dad, is a best actor Oscar winner for "Raging Bull" and a supporting actor winner for "The Godfather: Part II." Bradley Cooper, playing a TV executive, is a best actor Oscar nominee for "Silver Linings Playbook" and "American Sniper" and a supporting actor nominee for "American Hustle." Paramount, Plan B Entertainment and Regency Enterprises' R rated dramedy "The Big Short"will get a jump on its holiday weekend competition by arriving nationwide Wed., Dec. 23. It should play best to adult men. Directed by Adam McKay ("Anchorman 2: The Legend Continues"), it's based on a book by Michael Lewis, whose books "Moneyball" and "The Blind Side" both became best picture Oscar nominees. "Short" received four Golden Globe noms, including best picture-comedy or musical. It stars Christian Bale, Steve Carell, Ryan Gosling and Brad Pitt. In "Short," after predicting the housing and credit bubble collapse that precipitated the mid-2000's global recession, four outsiders in the world of high-finance take on the big banks for their lack of foresight and greed. Warner Bros. and Alcon Entertainment's PG-13 rated 3D action thriller "Point Break," opens Dec. 25 at about 2,750 theatres. Directed by Ericson Core ("Invincible"), it stars Edgar Ramirez and Luke Bracey. "Point" should play best to adult men and next best to younger men. It's inspired by the 1991 film of the same name directed by Kathryn Bigelow ("The Hurt Locker") and starred Patrick Swayze and Keanu Reeves. After opening July 12, 1991 to $8.5 million, it went on to do $43.2 million domestically. In "Point," Bracey plays FBI agent Johnny Utah, who infiltrates a team of thrill-seeking elite athletes led by the charismatic Bodhi (Ramirez). The athletes are suspected of carrying out a string of unusual crimes. Utah puts his life on the line, working undercover to prove their guilt. The PG-13 rated sports drama "Concussion" from Columbia Pictures, Village Roadshow Pictures and Scott Free Productions, opens Dec. 25 at about 2,600 theatres. Written and directed by Peter Landesman ("Parkland"), it should play best to adult men and also to younger men. Will Smith has an Oscar buzz going for his performance asDr. Bennet Omalu, a brilliant forensic neuropathologist who discovers the football-related brain trauma CTE in a pro player and then fights for the truth to be known. Omalu's emotional quest puts him at dangerous odds with pro-football. The PG-13 rated comedy "Daddy's Home," from Paramount Pictures and Good Universe, opens Dec. 25 at about 3,200 theatres. Directed by Sean Anders ("Horrible Bosses 2"), it stars Will Ferrell and Mark Whalberg. "Home" should play best to family audiences. Ferrell plays Brad, a mild-mannered radio executive trying hard to be the best possible step-dad to his wife Sarah's (Linda Cardellini) two children. Complications ensue, however,and it's dad vs. step-dad when the kids' freeloading real father, Dusty(Whalberg), arrives and competes for their affection. The R rated romantic drama "Carol,"from The Weinstein Company, Film 4 and Killer Films, expands its limited run Dec. 25. Its director, Todd Haynes, was an original screenplay Oscar nominee for his film "Far From Heaven," which received four Oscar nominations in 2003. It should play best to adult women. "Carol"stars Cate Blanchett, a best actress Oscar winner for "Blue Jasmine" and a supporting actress Oscar winner for "The Aviator;" and Rooney Mara, a best actress Oscar nominee for "The Girl With the Dragon Tattoo" and a best actress winner for "Carol"at the 2015 Cannes Film Festival. "Carol"received five Globes nods, the most for any film this year, including best picture-drama, directing (Haynes), actress-drama (Blanchett and Mara) and original score (Carter Burwell). Blanchett and Mara's Oscar prospects would improve if the Academy were to put Mara into its supporting actress category. "Carol"won best picture in the New York Film Critics Circle's awards vote. The NY group also honored it for directing, screenplay (Phyllis Nagy) and cinematography (Edward Lachman). "Carol"opened Nov. 20 at 4 theatres and expanded Dec. 11 to 16 theatres. It's cume through last weekend was $1.6 million. The R rated drama "The Revenant," from 20th Century Fox, New Regency Pictures and RatPac Entertainment, opens in limited release Dec. 25 and goes wide Jan. 8. It should play best to adult men and next best to younger men. "Revenant" is a Gobes nominee for best picture-drama and its director, Alejandro Gonzalez Inarritu, has a best directing Globes nom. Inarritu won the Oscar last year for best directing, original screenplay and best picture producer for "Birdman." In last year's Globes race, Inarritu lost for directing "Birdman," but won for co-writing its screenplay. 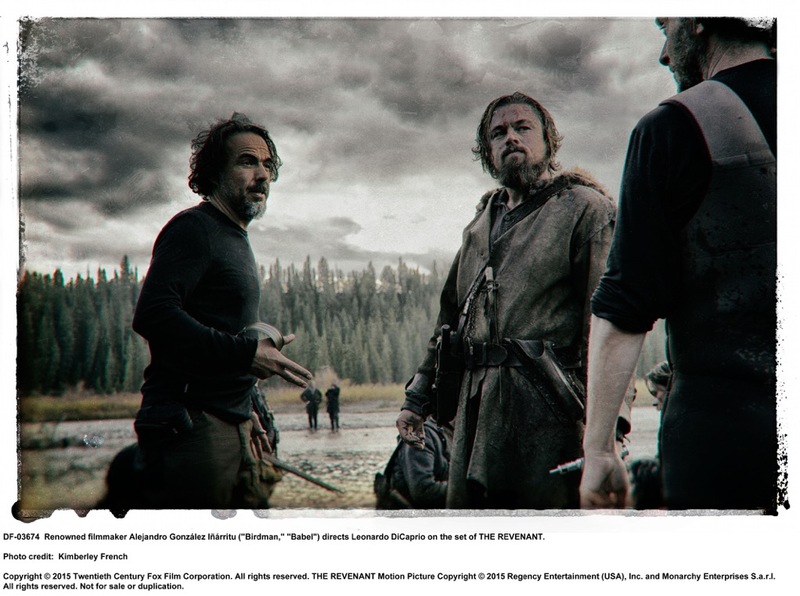 There also were Globes nods for "Revenant"for directing, actor-drama (Leonardo DiCaprio) and original score (Ryuichi Sakamoto). DiCapriois a five-time Oscar nominee and a two-time Globes winner – for best actor-drama in 2005 for "The Aviator" and best actor-comedy or musical in 2014 for "The Wolf of Wall Street." He has eight additional Globes noms to his credit. In "Revenant,"DiCaprio plays trapper Hugh Glass, who deep in uncharted American wilderness is severely injured and left for dead by a traitorous member of his team, John Fitzgerald (Tom Hardy). With sheer will as his only weapon, Glass must navigate a hostile environment to survive and exact vengeance on Fitzgerald. The Weinstein Company's R rated western "The Hateful Eight,"opening Dec. 25 at 100 theatres, is the eighth film from writer-director and two-time Oscar winner Quentin Tarantino. It should play best to adult men and next best to younger men. "Hateful" is set in post-Civil War Wyoming where a stagecoach hurtles through the wintry landscape with a bounty hunter, John (Kurt Russell),and his fugitive, Daisy (Jennifer Jason Leigh). Racing to Red Rock, where John intends to bring Daisy to justice, they encounter strangers, including a former Union soldier turned bounty hunter (Samuel L. Jackson). When a blizzard overtakes their mountainside stopover, they realize they may not make it to Red Rock after all. Leigh has an Oscar nominations buzz going thanks to recent awards recognition for her performance in "Hateful." She received Globes and Critics Choice Awards noms for best supporting actress. She also won best supporting actress in the National Board of Review vote in which Tarantino won best original screenplay. Bottom line:Santa will be delivering some promising presents from Hollywood for moviegoers to unwrap at the holiday boxoffice.